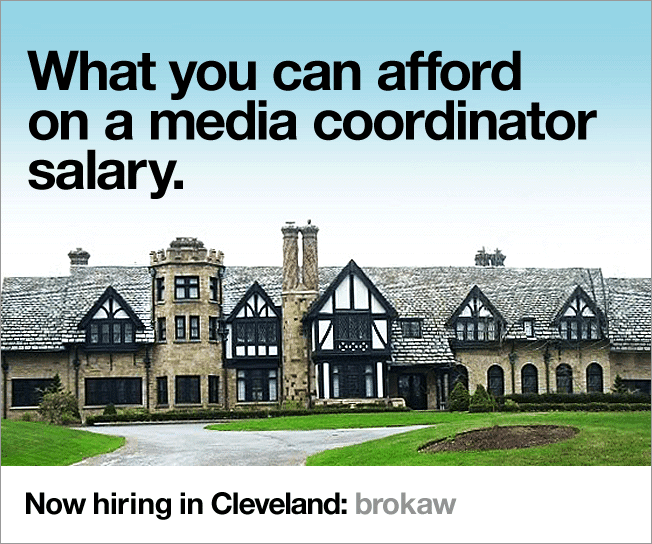 Let's face it, attracting killer talent to a creative agency is always a challenge, but when said agency is in Cleveland, Ohio, well, it's really a challenge. Come on, Cleveland's not necessarily known for being a creative mecca. 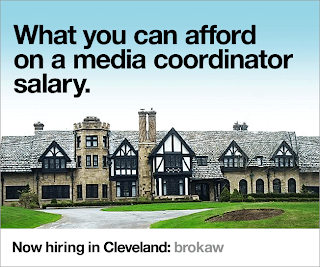 So, how does an agency like Brokaw go about it? Well, they start by highlighting what's awesome about being in Cleveland. For instance, your steady salary can upgrade you from a 600 square ft. box with 4 roommates to a frickin' 2,500 square ft. mansion with a pool that you can live in alone and run around naked all you want. And hey, without all those high fashion models and actresses running around, you'll look marginally hotter too. What's not to love? Apparently their creativity is working, with over 200 applicants from some pretty amazing agencies. Who knows, maybe they'll lead the way in making Cleveland the next Brooklyn!